What makes BSO Mauritskade special? It is currently not possible to request a tour at this location. 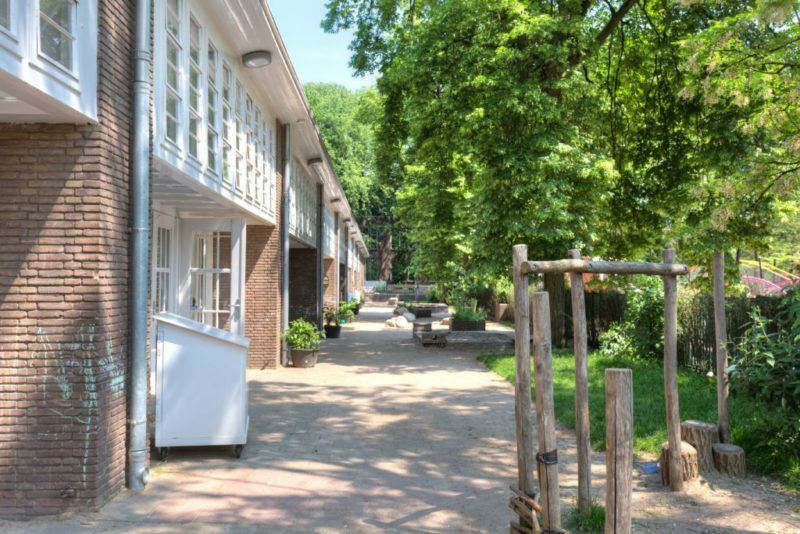 BSO Mauritskade is located in a beautiful spot in the Oosterpark in Amsterdam. 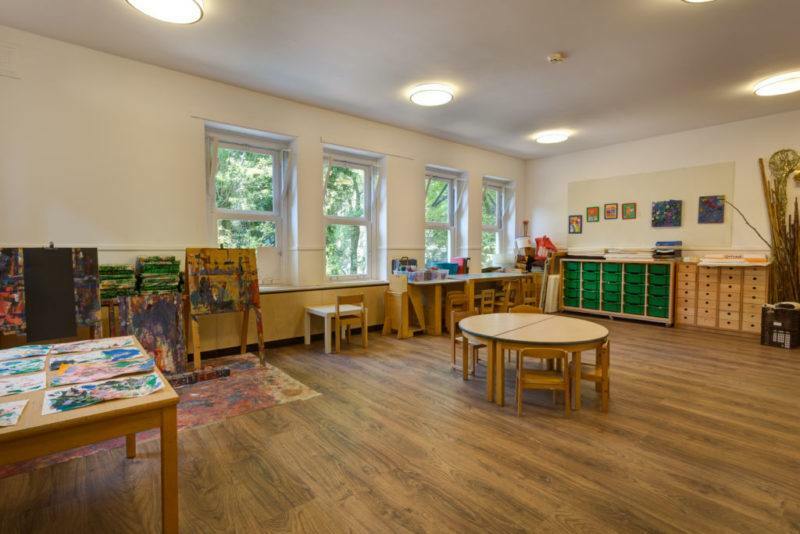 The after-school care is, together with the day care, housed in a fantastically atmospheric, monumental building. The floors and windows exude a nostalgic atmosphere and at the same time it’s a very light and fresh location. The rooms are all decorated with attention. The BSO shares the beautiful terrace and the outdoor garden with the KDV. There is a lot of attention for nature experience, where we are inspired by the seasons, but also for our relation with the environment. 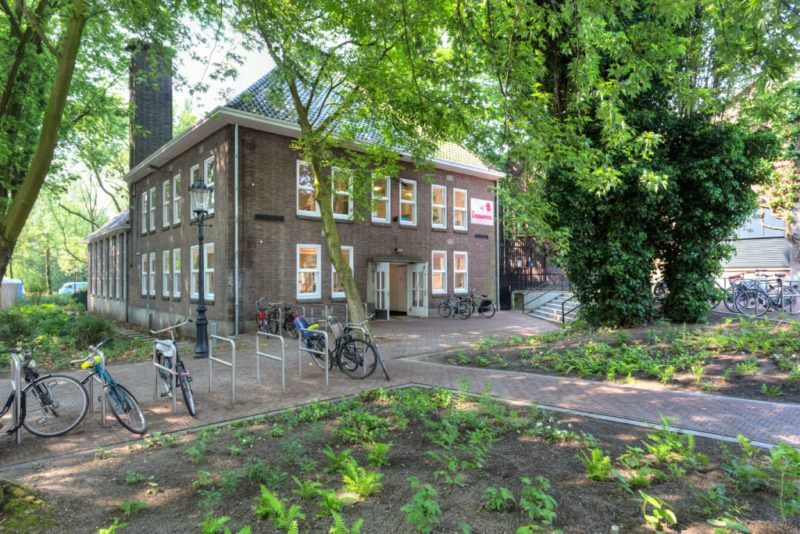 The BSO is linked to the Vrijeschool Amsterdam Oost. Our pedagogy fits well with the anthroposophical ideas of the Vrijeschool. Because at BSO Mauritskade we are (partly) inspired by the anthroposophical human and world view of the Austrian philosopher Rudolf Steiner. And this is reflected in, among other things, the design, the use of color in the rooms and the choice of playing materials. BSO Mauritskade has 1 group in which a maximum of 20 children are taken care of per day. The pedagogical staff have an anthroposophical background and are given the opportunity for (extra) training in this area. The cooperation with the Vrijeschool provides a continuous development line for the children, for example because the same themes are discussed at the BSO. Care during the school holidays: When the school is closed, we are open.